If you’ve been watching any of the 24 hours of consecutive live college basketball on ESPN, you would have noticed a couple things: the UConn women’s basketball team looks as dominant as ever, and the women’s college game now plays by some different rules than the men’s game. 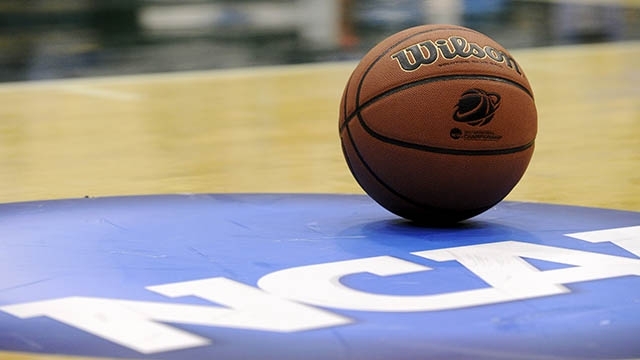 The NCAA announced these rules changes to the women’s game over the summer, and the most noticeable is the use of four 10-minute quarters instead of two 20-minute halves. While the games are still 40 minutes long in both the men’s and women’s game, it’s easy to tell the use of quarters gives the game a very different feel. The women’s game will also no longer feature the one-and-one at the free throw line when teams are in the bonus, making the men’s college game one of the rare places where the one-and-one still exists. One of the rules that I think will have the biggest impact on the women’s college game is the ability to advance the ball the way teams always do in the NBA and WNBA. The ball is now allowed to be advanced to the frontcourt in the final minute and overtime of the women’s game, instantly adding drama to the end of games. There were some tweaks made to when the 10-second count in the backcourt will and will not reset, and changes were made to post defense allowing defenders to keep a forearm on the back of an offensive player. The latter rule change I think will have an apparent impact on the way the game is played one way or another. It could lead to more fouls being called in the post early on, as players and referees get used to how the new rule gets implemented. Over time, it could give more of an advantage to the defender in the post, ultimately forcing teams to shy away from running their offense through the post. Using the post less in a traditional, back-to-the-basket way on offense is not necessarily a bad thing, just ask the NBA and the Golden State Warriors. All of the rule changes were made with one thing in mind: improving the flow of the game to make the product more appealing to fans. The one thing I immediately noticed is the clock does not stop after a made basket in the final minute of the first and third quarters. It just struck me as odd, only because I am used to it stopping in every other instance where the four quarter set up is used. The most important part of these rules changes is how they will prepare college players for their future in the pros and international play. The similarity of the rules to the professional and international game were intentional, fitting with the idealism that college is supposed to prepare students for their future endeavors. Why are college sports seemingly the only “college” thing that does not directly reflect what it is like in the “real world?” College football is no different, seemingly as stubborn as men’s college basketball when it comes to changing their rules. College football plays by drastically different rules, including only need one foot to be inbounds for a receiver to catch the ball, and different overtime rules to name a few. Basketball is much more of an international sport than football, making the urge to unify the rules even greater. Four quarters are played all over the world, not two halves. As I said earlier, men’s college basketball is one of the last places where two free throws are not always guaranteed when a player steps to the line. The length of the shot clock in all of the leagues continue to creep closer and closer together, getting us closer to the game of basketball having one universal set of rules. Now that the women’s college basketball game has accepted change, the men’s game stands alone as the ugly step brother who I think will only get more “ugly” as time goes on. The longer the men’s game avoids adapting, the more pressure they will feel to do so, ultimately forcing them to join the “let’s all play by the same rules” party. The fact the women’s game took this leap of faith and changed their rules is a huge sign that the men’s game cannot be far behind. The women’s game will get to work out all of the bugs, making it even easier for the men’s game to agree to change when the time comes. That sounds eerily similar to the women’s game reasoning of wanting to “enhance the flow of the game.” They are both essentially the same thing because they want the same end result: a better, more fan-friendly product on the floor. The men’s game is in desperate need of a more fan-friendly product with scoring down and big name players continuing to leave after one year for the NBA. Adapting to rules that more closely resemble the way the rest of the world plays basketball seems like an easy answer that the men’s game will turn to sooner, rather than later. This entry was posted in Home, NCAA and tagged better product on floor, college football, enhance flow of game, four quarters, international game, Men's college basketball, NBA, NCAA, professional game, rule changes, shot clock, two halves, UConn Huskies, universal rules, WNBA, Women's college basketball. Bookmark the permalink.